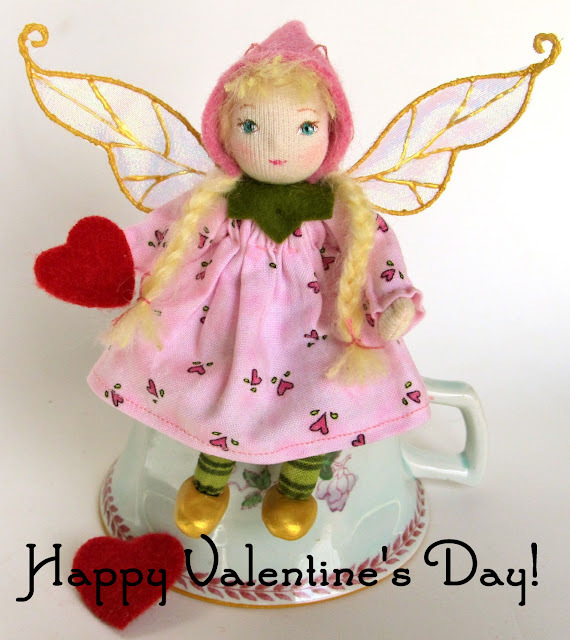 Happy Heart Day to you and Yours! Straight back to you and she is so beautiful. Hello! I found your blog randomly searching for something on google images... I just wanted to say that I love your little dolls... they're absolutely pretty and lovely! Here in Brazil we say about the person who has great hability with handcrafting, that she has "fairy hands" (mãos de fada), I don't know if the expression exists in english. I also love the pictures you post. Your blog has such a good atmosphere, to look at all those pretty things. =) It's inspiring.